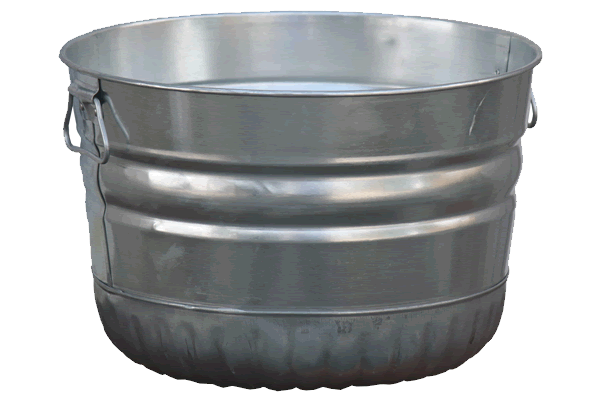 This polished galvanized bucket is created with a wire-reinforced rim, easy-to-carry handles, and sturdily swedged sides. It is ideal for transporting vegetables or fruits from the garden and can hold up to 1 bushel. It can also be used as incredibly durable dry storage for your garage, barn, or shed. Click here for more information on how these galvanized tubs are resist weather and rust.